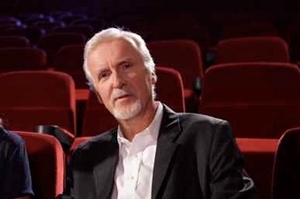 Three cheers for James Cameron for his plans to open a vegan restaurant in his adopted home of New Zealand. Although I live in California, New Zealand is the land of my birth, and I am sad to say that it does a pretty poor job of catering to vegetarians and vegans. When I was there earlier this year it was mighty hard to find plant-based food, and I often had to order two side salads as there is no concept of an "entrée" salad in New Zealand. (I am using "entrée" here in the U.S. sense of meaning a "main course"). Anyhow, the thought that Cameron will be opening a vegan restaurant in the heart of one of New Zealand's wine-growing districts has me excited for my next visit "Downunder".